Each system is custom designed for each brewery. Paired with Nano Filtration, the Nano Brew TB Series give the brewer total control over their water quality. The Nano Brew TB Series comes equipped with Stainless Steel blending valve, and total dissolved solid ( TDS ) meter. Whatever your desired TDS is for the style of beer your brewing, the brewer has the confidence that the water is the same each and every time. Nano Brew TB Series is designed for overall high performance, high recovery rates, minimal energy consumption and offers great savings with low maintenance and operation cost. The TB Series can be configured from 2500 GPD to 7000 GPD. Each of the above to be custom sized for each system. Activated carbon ( AC) is a natural material derived from bituminous coal, lignite, wood, coconut shell etc., activated by steam and other means. Carbon is very popular due to its ability to correct many water problems. 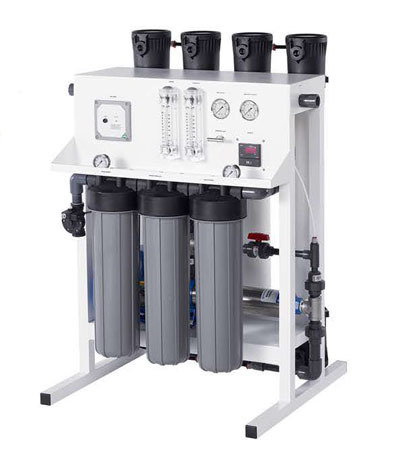 The Micro Brew Reverse Osmosis (RO) Systems are manufactured for commercial and light industrial applications. They have been engineered for capacities ranging from 12,000 - 2 million gallons per day and for municipal and well water supplies. Micro Brew RO Systems come pre-assembled, fully tested, preserved and sanitized and only require simple utility connections once on site. Systems come ready for immediate on-line service, minimal set up and with little adjustment required. The simple, high quality and proven design of Micro Brew RO Systems have made these systems become known as turn-key, cost effective and reliable water purification systems. Micro Brew Reverse Osmosis Systems feature a new expandable design. 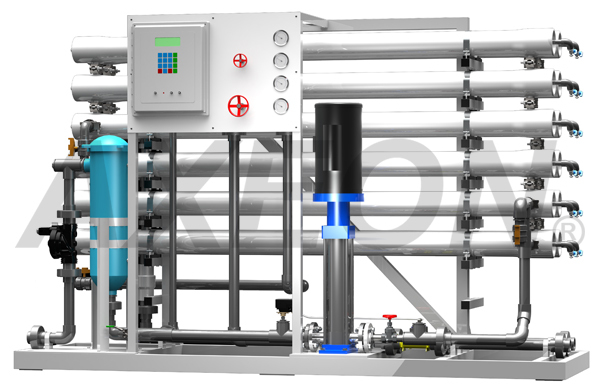 These systems feature a programmable computer controller with many built-in standard features, a stainless steel booster pump for high performance and corrosion resistance, extra low energy membranes and fiberglass membrane housings for enhanced performance and durability. We'll beat any price on a comparable system!